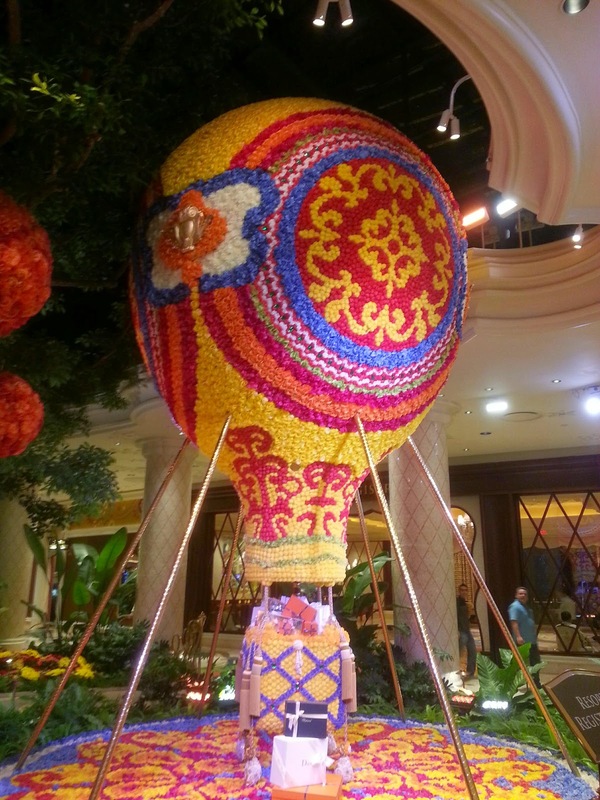 Las Vegas rings in the Year of the Sheep, Goat or Ram with lion and dragon dances today. 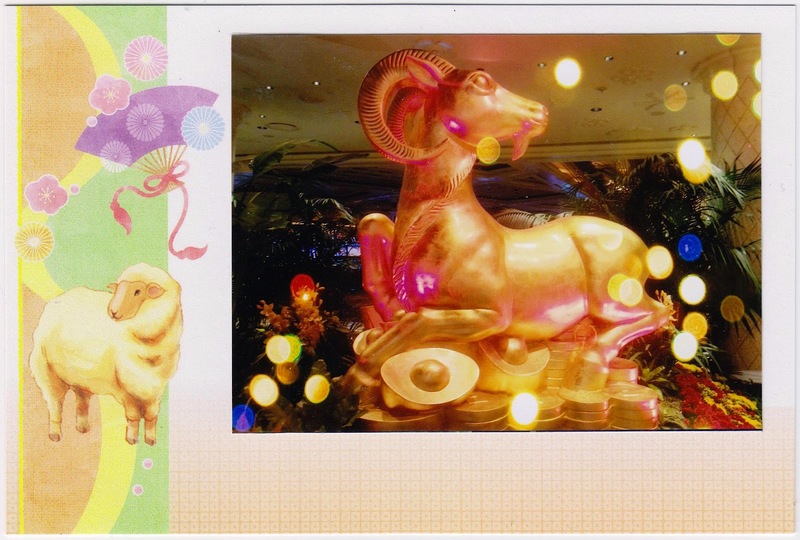 Postcard US-3202717 to Oklahoma, USA shows one of the three 600-pound ram sculptures gilded in gold leaf to mark the occasion at Wynn Las Vegas and Encore at Wynn Las Vegas. Fruiting tangerine trees, begonias, calandivas and red, yellow and orange chrysanthemums greet guests throughout the Wynn Atrium. Las Vegas Spring Festival will be held at at The LINQ Promenade on February 20 and 21, 2015, featuring cultural performances, a live dragon and lion dance, martial arts demonstrations, a car show and a culinary show. The 2015 Las Vegas Spring Festival Parade, part of CNY in the Desert/Las Vegas Spring Festival, will take place from 11:00 a.m. to 12:30 p.m. on February 21 in downtown Las Vegas.